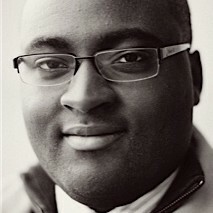 William Isaac is a PhD candidate in the political science department at Michigan State University and member of the MSU social science data analytics initiative. His current research interests include Bayesian inference, experimental design, and natural language processing. William received his MPP from George Mason University in 2011 and a BA in Political Science from University of Alabama in 2007. Previously, William served as a research assistant at Resources for the Future consulting on projects for the U.S. Environmental Protection Agency and Department of Energy.